I love all things lemon. This time of year I am searching for lots of lemon recipes to make for the guest, but of course I have to try them out first. I also love the Miette cookbook, from a precious lady with a small pastry shop named Miette in San Francisco. She does everything in small portions, so it’s perfect for me to use her cookbook for individual guest a lovely treat. Today I will share with you what she calls “afternoon cakes”. 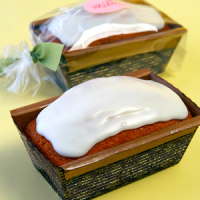 The Lemon Tea Cake, below is her recipe and the picture was taken in her bakery also. Maybe someday I will get to go visit her and take first hand all her great treats. 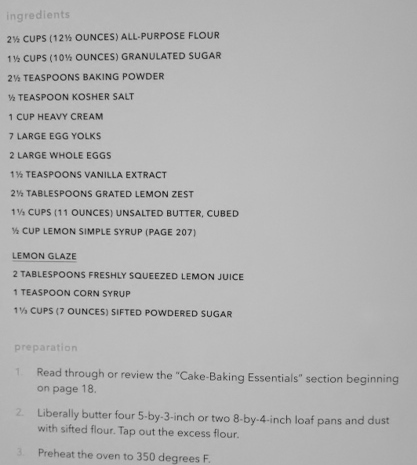 This entry was posted in From the kitchen, Recipes and tagged lemon recipes, lemon tea cakes by admin. Bookmark the permalink.